Mulling Corporation helps build effective teams by understanding each member’s strengths and differences. We then focus on sharing a common goal to maximize not only everyone’s potential, but that of the organization as a whole. Mulling Corporation’s customized coaching programs assist individuals and organizations in quickly developing the leadership skills necessary to succeed in their positions and the next generation of workforce management. Mulling Corporation’s mission is to provide your leaders with the skills and training necessary to work more effectively in multi-cultural environments. Our selection of services will assist them in thriving within a global business culture. Through our process we carefully facilitate and address conflicts between two people instead of letting the conflict continue to affect them and others and their performance. This leads to greater respect for each other’s differences. Once each person values the other’s contributions, productivity returns and results in a positive working environment for everyone. Mulling Corporation offers a comprehensive program to assist your transitioning employees. Our services include one-on-one sessions that sharpen communication skills, sessions to hone interview and networking techniques, resume and cover letter tips, and strategies for the next best step in their careers. Mulling Corporation is committed to providing comprehensive cost-efficient and tailored services by recognizing that every individual and each corporate client has unique needs. As a professionally managed firm, we observe the highest ethics in the marketing and delivery of our programs and maintains superior quality standards in the performance of our talent management services. Mulling Corporation's generous, engaging, and client-focused staff has consistently supported my professional development. Between my consultants' vision, insight and the whole team's drive to see their clients be successful, these elements combined to build a fantastic, and personal career management service. I gladly recommend them without reservation. 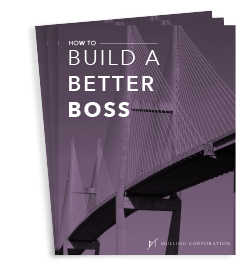 No floundering around when you work with the Mulling Corporation – they help you set high expectations for yourself and hold you accountable. Without their professional services, I don’t think I could have remained as positive as I did during my career transition. I consider them all great counselors and trusted friends and recommend their many professional services. I used the Mulling Corporation for Executive Coaching services when I first started in my CFO role. They provided tools to assess my strengths and weaknesses as well as relationships with my key stakeholders. Together we developed a personal development plan, which was supported by individual coaching. This experience directly contributed to my successful start up, and helped me develop habits and practices which I still use today – and in fact have passed on to others.